Android Auto has been making a lot of news lately with preparations for wireless projection support and recently enabling users to unlock a phone while it's connected to the car. The latest version began rolling out earlier today, and it's coming with a few smaller changes already live, plus a few clues about settings that may become available to us in the future. 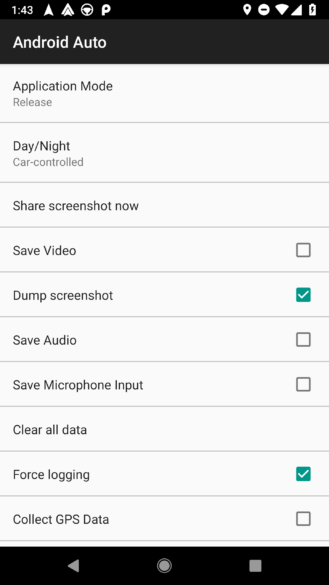 Show application versions in Android Auto settings. Learn more here. 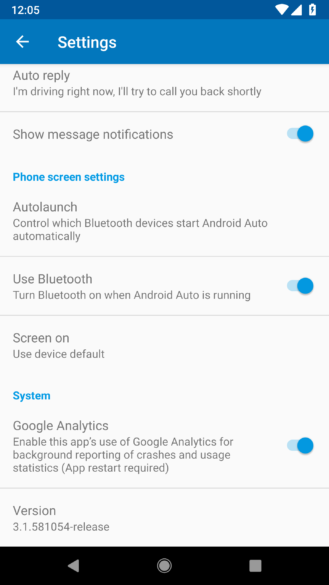 Moved Bluetooth Autolaunch setting to Android Auto Setting. An official changelog is up in the Android Auto User Community. It includes the system info tool discussed below, and also mentions an updated data notice and moving the Bluetooth autolaunch setting to the standard Android Auto settings screen. If you ever run into an issue with some software, developers will often ask about some system details while they're diagnosing the problem. Android Auto just added a new tool to make that a little bit easier. If you open the settings screen and scroll down to the bottom and tap on the version number, the line will turn into what you see above. 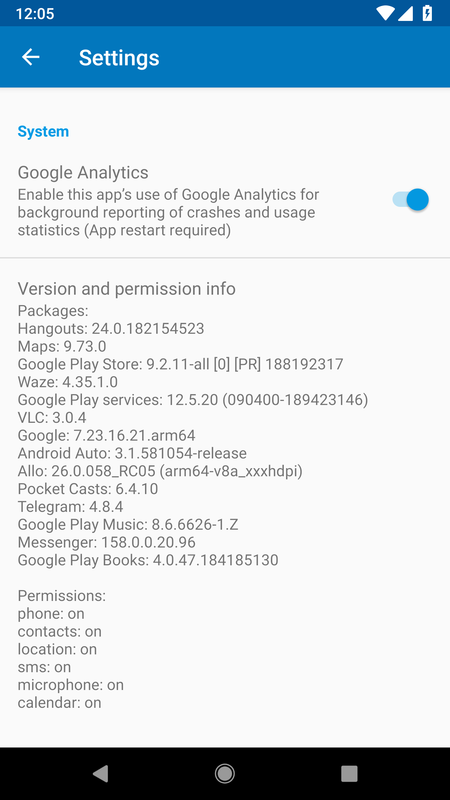 This is a full list of every installed app (w/ version) allowed to run on Android Auto. Below that is a list of runtime permissions and status for whether or not they've been granted. 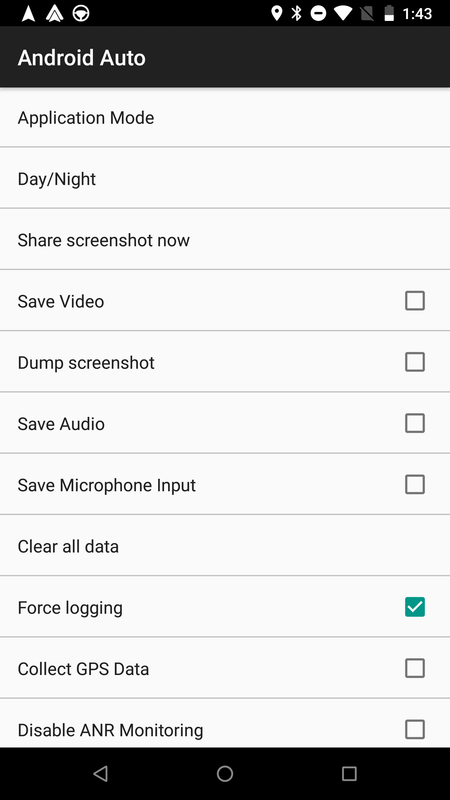 As a bonus, long-pressing on this space will also pop open a share dialog so you can easily send a copy of this list to any other suitable app on your phone. It's kind of a small thing, but the developer settings screen now shows the currently selected values for Application Mode and Day/Night. Note: If you don't have those fields set to values yet, they will continue to show just the title until a setting is chosen. Text for a new setting has been added to the Android Auto app – the option is called "HD Projection." Unsurprisingly, the description explains that this will display the Auto interface in high resolution while connected to compatible cars. 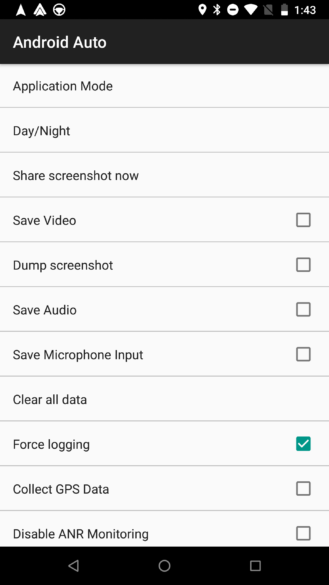 A warning dialog also points out that this setting might not work well on all phones or with some head units, so it should be disabled if video performance is bad. Right off the bat, anybody that has been into the developer settings screen is probably thinking about two toggles that "allow" 720p and 1080p video output. If you've got a higher-res screen in your car and Android Auto doesn't fill it properly, these two settings can usually fix that. Since the HD Projection setting is located in the regular user settings, not in the developer settings, it's probably meant to be the friendlier version of the 720p and 1080p toggles. It's possible that it's also forcing higher resolution output, as opposed to just "allowing" it. I will throw one final possibility in here, though I doubt there's anything to it. Just last month, Wi-Fi projection support was added to the Auto app. It's plausible that the word 'projection' was intentionally used for both, and this setting will enable HD video over wireless. I doubt this is the explanation, it's far more likely that this setting applies regardless of the connection type. So far, this setting isn't available in the interface for me. Another new setting may also arrive that can be used to turn on message previews. No description is given, but just from the name of the setting, it's possible this will allow incoming messages to include partial text or images in addition to the name of the sender. The setting is disabled by default, and it's not available yet to be changed. I have tried forcing it to be enabled, but there doesn't appear to be any change when new messages arrive. Given that Android Auto recently relaxed the rules regarding the lockout screen so phones can be used while connected to cars, I don't think we can rule out the possibility that this means there will be message text shown in Auto's notification cards. There's no denying that this would be a nice addition for people that have to keep the volume down, perhaps for sleeping passengers, but have some time to skim through messages while they're at a stoplight. If this does happen, it might still only work when the car is parked, or at least stationary. I doubt all of the safety restrictions are going away this quickly, but we'll have to wait and see what happens.